When the U.S. publisher asked for a sequel to My Three Husbands, I sent an Italian prince to Portland, Oregon, to woo and wed Venus Gilroy and take her to live in his ancestral palazzo in Rome. True, she thought she was pregnant by Treymaynne, her vanished third spouse. True, she didn’t quite love Prince Marcello Brunelli, and the twenty-five-year age difference was bothersome because she’d never been with an older man. But Marcello, from one of the oldest families in Rome, was so handsome, sophisticated, adoring and rich that he couldn’t be easily overlooked or dismissed as a potential suitor. And since this was my version of a modern, bi-cultural fairy tale, Old World colliding with New Age, Venus eventually succumbed to the ardent wooing of the Roman prince, fell in love, and became a princess. It was her coming-of-age novel, the novel in which she had a baby and finally grew up and grew wise. I called it Happily Ever After. But the publisher wanted to call attention to the pregnant and princess side of the story, and changed the title to Confessions of a Pregnant Princess. Though it was marketed as chick lit, this novel is longer, denser and a lot more sophisticated than My Three Husbands. There was less slapstick and more situational comedy and drama in it. I got to write about Rome, one of my favorite cities and a place where I had once spent a lot of time. All of the American characters from My Three Husbands came back—John, Whitman, Carolee—but I also created an old, aristocratic Roman family, the Brunellis, that had to deal with Venus’ sudden and rather explosive appearance as the new, pregnant wife of il Principe. The ending? Well, it’s not quite so happily ever after, after all, but it leaves the reader with a Venus who’s been transformed from a gauche, naïve and bankrupt flibbertigibbet to a strong-willed young woman who weathers calamity, outsmarts disaster and moves into a new future with newfound grace and assurance. 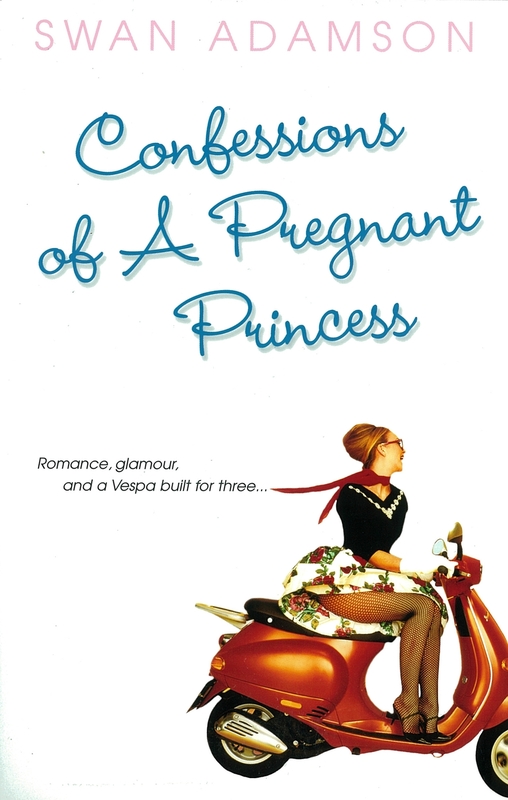 The trade paperback edition of Confessions of a Pregnant Princess, with a cover showing Venus whizzing along on a Vespa, was released in 2005. A French translation, titled Vénus à Rome, appeared in 2007. She’s riding a Vespa on that cover, too.